Compact, up to date and personal – this is how our new website looks with a fresh design. Looking for an ambitious and unique presentation we recognized, that it is mainly our team who makes Zehenter & Partner Invest AG unique. As a team we benefit from the strength of each individual and achieve in our thematic teamwork the best result for our clients. We have expressed this knowledge on our new website in words and images. 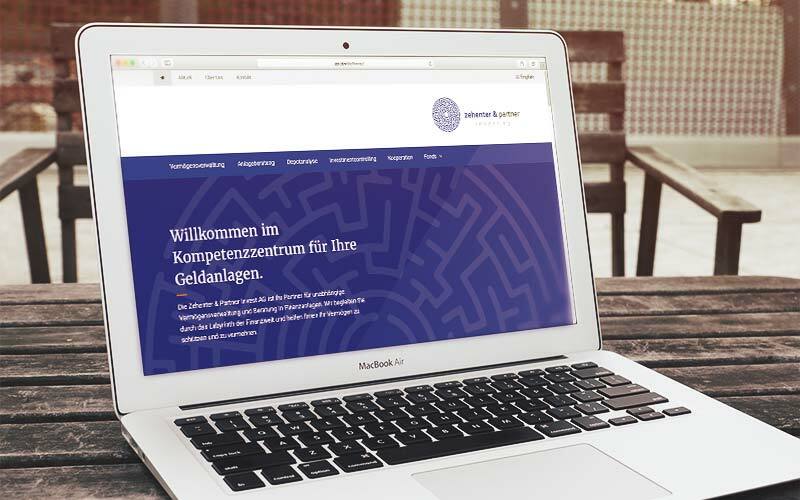 Beside detailed information all website visitors get now also an interesting optical insight into Zehenter & Partner Invest AG and their personal advisors. A new navigation bar shows you the fastest way to our services und offers all our customers and interested parties an informative overview about our services and products. Thus you will find all interesting information compact and up to date at first glance. In this sense we welcome you on our new website and look forward to accompany you through the labyrinth of the financial world.